Welcome to Central Home Services! We’ve been serving the people of Melbourne for more than 20 years so you could say that we’ve seen our fair share of dirty carpets. Our cleaning techniques have been tried and tested on the filthiest of carpets and they’ve never failed to produce outstanding results. In Need of Carpet Cleaning in Melbourne? Our steam and dry carpet cleaning services in Melbourne can work magic on all kinds of carpet fibres. That said; before we carry out any carpet cleaning job in Melbourne, we pre-test all fibres for colour-fastness to establish what the best method of cleaning would be. Hiring Central Home Services in Melbourne for carpet and dry cleaning will ensure that you get the kind of results you’re looking for. We can treat most stains including those caused by coffee, cordial, blood, urine, pets, ink, blu tack, grease, make up, glue and wax. We’re a local company that strives to offer the most affordable rates to home and business owners for carpet cleaning in Melbourne. We also specialise in effectively removing odours including those caused by pets, urine, vomit, flood damage, and mould & mildew etc. You won’t have to wait days for your carpets to dry. In fact, they’ll be ready to walk on immediately after we finish. We can actually help to protect your carpet and prevent stains and dirt from damaging your carpet. You can be assured that we’ll use the best equipment and safest cleaning agents when treating your carpets. 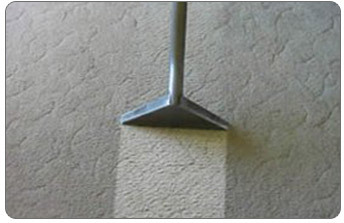 What kinds of carpet can be cleaned professionally? When looking for carpet cleaning services in Melbourne, many people become unsure as to whether or not the particular fibres used in their carpet are suitable for the professional cleaning processes available on the market. Here at Central Home Services, we want to make the entire Melbourne carpet cleaning process as straightforward and hassle-free as possible for our customers. Consequently, we’ve invested in a range of state of the art equipment and developed highly specialist techniques that combine to enable us to professionally clean virtually any carpet. Whether your carpet is made from nylon, wool, polyester, polypropylene or any of the other common carpet fibres, we’ve certainly got you covered. And if you happen to possess a carpet that is made from a less common fibre, it’s more than likely that our highly experienced team will be able to come up with a bespoke carpet cleaning solution that is perfectly suited to your individual case. What kinds of stains can be lifted with Carpet Cleaning? Many people regularly think about investing in a professional, deep clean for their carpets – but it’s often only when a seriously stubborn stain comes along that they get around to finally making use of one of the professional carpet cleaning services Melbourne offers. If you’re currently struggling to remove a stain from your carpet and neither the traditional stain removal techniques nor the standard shop-bought cleaning products are proving to be of any use, it’s time to consider professional carpet cleaning. Melbourne homeowners need not put up with carpet stains of any kind, as here at Central Home Services we can remove almost all stubborn stains, including those caused by coffee, make up and other notoriously tough substances to lift. The particular process we use to clean your carpet will depend on whether you decide to go for a steam cleaning or dry cleaning service. 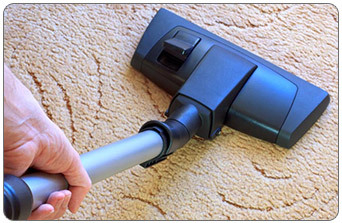 With steam cleaning, steam will be pumped at a high intensity into your carpet. When the hot steam molecules meet the cool fibres of your carpet, they’ll naturally expand and force out any dirt, dust, hair and other undesirable nasty’s. If you select a dry cleaning service instead, we’ll use our expertise to skilfully apply top quality professional cleaning products with state of the art equipment, guaranteeing you a deeper and more thorough clean than you could ever hope to get with shop-bought cleaning products or hired cleaning equipment. When choosing our dry carpet cleaning services, Melbourne customers can expect to be able to resume walking on their carpets immediately after cleaning, whereas naturally this is impossible in the case of steam cleaned carpets which will need to be allowed to fully dry out. If you’re not sure which service is best suited to you and your carpets, our professional team are always happy to offer their expert advice. And whichever one of our two carpet cleaning services in Melbourne you end up choosing, you can be sure that you’ll enjoy carpets that are cleaner and fresher than they’ve been since they were first installed! So if you’re looking for a Melbourne carpet cleaning company that you can trust, just give us a call on 1300 310 160 to schedule a call out or to get an estimate. You can also fill out your details here and we’ll get back to you as soon as possible.